I have a list of things I want to do before I turn 30 in August. I always figured I'd make some sort of fancy-shmancy 30-Before-30 list, filled with adventures and fancy food and impressive accomplishments. But when it came down to it, the whole idea became too overwhelming and I ended up just making a mental list to do things like: go to the dentist, get new glasses, create a budget, visit a dermatologist, etc. Adulthood is much less exciting than I thought it would be. What ever happened to eating McDonalds every day and buying all the earrings I wanted from Claire's? I mean, honestly. In any case, I finally got around to getting my vision checked for the first time in about 4 years. I went to Costco and walked out with a brand new prescription for glasses and contacts. It's weird how excited these things make me. Now, my vision isn't terrible. I don't think I even technically need to wear glasses in order to drive, but I want to wear glasses or contacts in order to drive and be able to see the sign for my exit before I fly past it on the 405. I especially won't drive at night if I don't have either glasses or contacts, mostly because my vision is much worse at night. I prefer not to murder leisurely pedestrians who act like they own the Target parking lot. And aside from driving, I've noticed that my vision has gotten to the point where it's blurry enough to be annoying when looking at things (and people) from a distance, so I know it's time to buckle down and re-stock my contact lens supply—as well as buy a pair of glasses that I actually feel attractive in. I ended up ordering a set of 5 at-home try-ons from Warby Parker, because it's absolutely free (even if you don't end up ordering anything you try). It felt like a win-win situation, especially because if I were to try to browse the selection of glasses at Costco, odds are Eisley would destroy something and that's not really my jam. See below for the ones I tried out! Ainsworth (in Striped Chesnut) — These probably would have to be my second choice overall, but they still felt quirky enough that I wasn't sure I would love them five years from now. (And let's be honest: Whichever glasses I end up getting will most likely be the only ones I have for the next 7+ years.) I like how these fit my face, and the rounder frame was kind of fun. Chamberlain (in Whiskey Tortoise) — I felt borderline like the old man in Up when I tried these on. No dice. Zagg (in Striped Chesnut) — These were just okay, and overall they just seemed too bold for my face. Does that make sense? 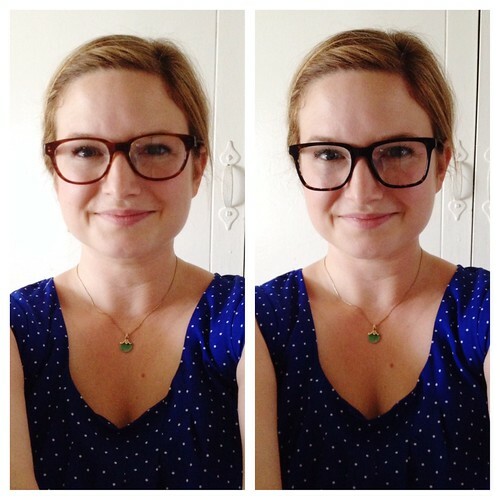 I just don't want to wear glasses and have the first thing people think when they look at me to be, "GLASSES." Mitchell (in Whiskey Tortoise) — I feel like these are simply too wide for my face shape and eyes. The more I look at that photo, the more I think I look like a nine year old trying on my grandma's reading glasses…which isn't the look I'm going for, most days. Wilkie (in Greystone) — These glasses may or may not be my soul made. For my face, at least. (Face mate?) Right when I tried them on, they felt perfect. I think they compliment my face shape, and you can't really tell in the photos, but the color is a lovely gray that works better with my coloring than black. I feel like I could wear these glasses for years and not get tired of them…they're modern without being too trendy, which is good when you're in the market for something with longevity. All of these glasses are $95 (lenses included) and that doesn't seem too shabby for something I plan on not replacing for quite some time. (I know I paid more for the last pair of glasses I purchased from Lenscrafters more than 7 years ago.) I may price-shop a bit more before throwing down the money for these, because this gal is always on the search for a discount/sale/bargain, but if nothing else turns up that I absolutely love, then I will definitely be ordering the last pair. What are your thoughts on the frames I chose? 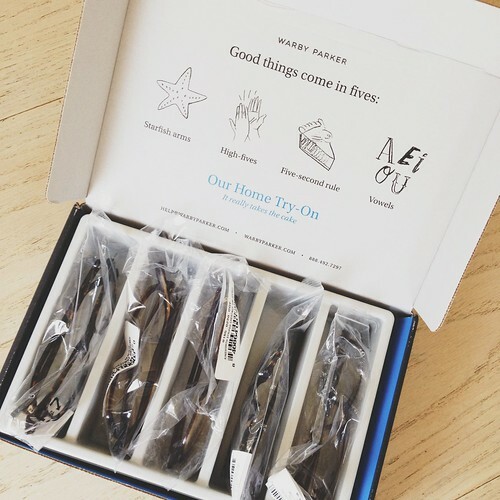 Have you tried Warby Parker home try-ons yourself? Are you tired of seeing my face so much in this post (because I am a little bit)? Spill, friends. Post updated with affiliate links. 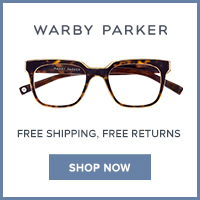 When you choose to purchase something from Warby Parker through my links, I will receive a small commission at no additional cost to you. View my disclosure policy here! I don't wear glasses but I feel like I have the hardest time finding sunglasses that fit me. They always seem to pinch my nose, so I like the aviator style because the nose piece is flexible. But then I can never find those in a frame shape that is the right size. Why does it have to be so hard?? Yes, I love the last ones! I haven't tried warby Parker yet, but have been meaning to. Hopefully, this summer. Love the frames you chose, they're so cute! You got it right with the Wilkies. They are perfect. Isn't buying glasses such a hassle? The ones you chose suit you! What a great company that allows you try on different pairs in the privacy of your own home without the pressure of a salesperson breathing down your neck! Totally diggin' the Wilkies on you. AInsworth actually is cute on you, too. 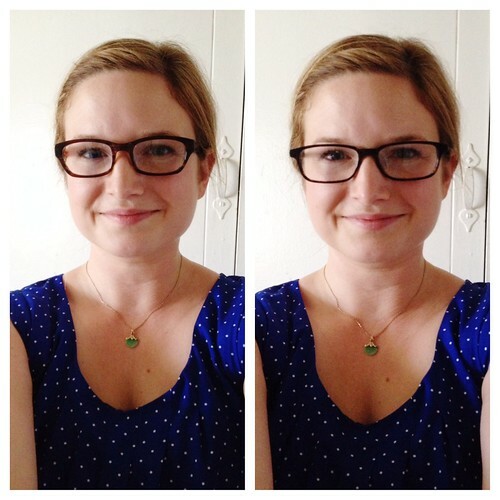 For a few years now I've splurged on Lookmatic frames (found via Cup of JO) and they also do a home try on. 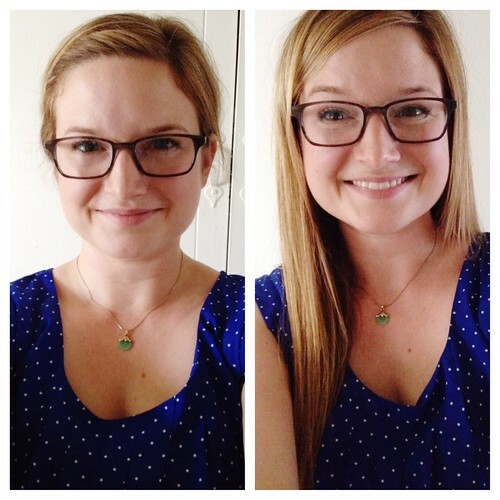 Warby Parker is all the rage! My coworker had been telling me about them and did the try-on thing last week. I don't thiiiiink I need glasses just yet (though I should probably get checked to confirm that), but it made me want some! I tried a pair on because I loved them so much!